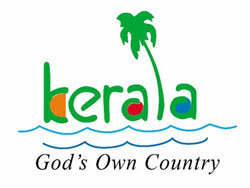 May 19 - The Kerala Tourism Board has launched a new tourism campaign in Dubai titled ‘Dream Season', which will includes holiday packages during the cooler and rainy months in Kerala, India, that is, May to September. "It's the best time to enjoy the lush greenery and picturesque views of rain-soaked plants and trees when the backwaters are full," said Kodiyeri Balakrishnan, Kerala's Minister of Tourism. "Arabs tend to travel during the hot summer months and in large family groups. This, combined with their interest in ayurveda, makes the cooler monsoon months of ‘Dream Season' a perfect product for this market," said M. Sivasankar, director of Kerala Tourism Board.